"Their Customer Service Department is Second to none, they are the best"
Every time I contact my Customer Service Agent and explain my issue it is within a few seconds she comes up with a solution that is simple for me to understand and works great. There is nothing to dislike, most companies you call and get a random CS agent but not here you are assigned a dedicated CS agent that remembers what was done in the past and then we move forward. Stay with the best shipping company I can find. Very easy shipping software and tracking my inventory keeping my websites inventory up to date is a must have feature. "My scan-based return fairy godmother is Bree Beeson"
Bree was the tech support maven to finally successfully enable scan-based return labels for my business. She got me on one phone line and Endicia on the other (no other support staff had done that yet, and I've been back and forth with Shipping Easy and Endicia many times) and even walked me through sharing our laptop screens to get the job done. Seriously, I was about to start looking to switch providers, because returns streamlining was becoming a necessity. I didn't like that I can remember all of the support calls I made BEFORE Bree that DIDN'T work. None called Endicia on my behalf, or share screens. Why not? Bree demonstrated that it could be done. If you need tech support, just call the Shipping Easy phone number and find Bree Beeson. She's AWESOME. Can you tell she solved a huge problem for me today? Bree just solved a huge problem for me, and now I can send scan based return labels with my orders. This small improvement will save me lots of time and also make my apparel business's services more on par with industry standards that my customers expect from their online buying experiences. "Time Saving and Amazing Service!" ShippingEasy has saved us an enormous amount of time with our shipping. We can print invoices and shipping labels at the same time. Their customer service is impeccable. Shipping Rules can be a little tricky. There is no 'OR' condition. You may need to use 2 or more rules to get the condition you want. Try It, it should work for you. It does for us and I won't go back to my old way of doing things. Saves time and money. We are in the ecommerce business and sell on multiple sites. We used to have to go to each site for shipping a specific order. Sometimes even had to do things manually. ShippingEasy has consolidated this into one location for all (ex. eBay, Amazon, our Company Site). I looked at a ton of shipping solutions for my company which does quite a bit of shipping. ShippingEasy had commercial plus pricing, a programmable API, and an inventory feature. Only one that checked all the boxes! Would love alerts for when items are shipped back to us! Would definitely recommend this. I looked at this, PirateShip, and ShipStation and this was the only one that had all the features I needed AND had the best shipping rates. Win win! Our company is based around shipping, and it is vital to our business that we have a firm handle on it. By having a good shipping solution, we are able to handle more volume with less people. I am new to SE, although I have worked for quite a few larger fulfillment centers. It was very easy to get the hang of it, and at any time I have been help up or had a question, the chat feature has been a life saver. Matthew really knows pretty much everything about SE that there is to know. The help has been very efficient, and always the exact info/answers I have needed. There should be a feature to "manipulate"(probably not the best term for what I'm trying to explain) the shipping charges. More like an up-charge/surcharge, so that there is still a margin to make some more chedda! Not only for us but for our customers as well. (But mainly for us!!) Most of our clients are already doing this on their stores/sites and are doubling up, if you will, by receiving the discounted rates we provide them. I have been continuously in my boss and owner's ears about this from day one. It is great for order fulfillment. (DUH)There are some other competitors out there, which I'm sure you guys are aware of. Hopefully you will keep improving this to; stay ahead of the others & add/implement other features that aren't offered yet, and keep our business as well as many others. I absolutely love almost everything about Shipping Easy. Their customer service is the best I have ever experienced. EVER!!! Everyone is very friendly, very knowledgeable and my issues are usually resolved pretty quickly. There are only a couple features missing that Shipping Easy does not offer that would be helpful to my business. There is no form available to capture newsletter subscribers email addresses and I cannot use the abandoned cart feature which is currently only available thru Shopify. If you are on the fence I highly recommend this software. Shipping Easy will hold your hand all the way thru the setup process and beyond. 20 years in business online and I have yet to run into a company that provides this high level of customer service. I am so thrilled I selected them as my shipping solution. They have exceeded all expectations. This software has allowed us to be more efficient and less mistakes are made. Shipping Easy is so much more than a shipping software. It is also a very robust email marketing platform. It is amazing what this software can do. I am just getting started in setting up automated emails. I think this feature alone can help me to increase sales significantly. I am super excited to get this all set up! I really like that I was able to chat with a shipping easy team member to help navigate me through my shipping options. Matthew was also able to setup shipping insurance over a certain dollar amount which I did not know about. I really have no complaints thus far, everything is working great! Very easy to use and integrate with your existing carrier accounts! I am able to check rates of different carriers depending on what size box or boxes we are shipping. Before we had to check through each of the different desktop applications which is now so much quicker. "A multiple shipping service you can rely on, makes shipping easy and inexpensive"
You can create pick lists, choose packaging options, customize shipping methods and get the best services. you can use to to notify your customers about order delivery.It offers unlimited options and reduces mistakes that could cost you a fortune. It also saves both time and money. If only you could simplify the user interface. New users might need guidance. I am glad that the support team is always ready to help. I highly recommend this shipping platform. It will simplify shipping tasks and help you manage your inventory. It gives you value for your money. Managing multiple channel shipping is not easy. With ShippingEasy, however, you can offer your clients the best services even when they order diverse products. I relied on it for the best shipping rates. They also offer quick support response. "Shipping is no longer a hassle! " I love the ease of use of the site and the friendliness of the support team! There is nothing I dislike! Everything I need is at my fingertips. Saves countless hours! Easy to use and the sport team is delightful to work with! ShippingEasy has saved me countless hours. I used to spend hours at a time addressing packages, and then driving them to the post office where I would stand in line for a minimum of 30 minutes. Now I can schedule all of my packages in record time and the post office comes to me! "Really great customer service, easy to use platform"
The customer support is so great! No wandering around trying to figure stuff out on your own (which is the main reason I will bail on a service). They will help you get everything set up and help with all of your support needs via chat (hi Matthew!) or by phone. I'd like for the billing to show the order numbers for each of the insurance items, that way it is easy to see what charges go with which items. "Easy to launch for simple fulfillment"
Speed to launch, integration with WooCommerce and BigCommerce. Very intuitive interface makes training personnel easier to accomplish. Thermal printer setup was also simple and quick. System is a bit limited on return label logic for RMA cross shipments but otherwise functions quite well for our needs. As with any business automation system, make certain that you understand your requirements and convey them, in writing to the vendor involved. Request that they confirm coverage of each requirement in writing. B2C order fulfillment for web and call center orders. The integration to our order management systems and website has been very helpful by reducing error rates and order cycle time. holistic approach to orders and fulfillment, Inventory and customer management. Push and pull capabilities with marketplaces. Clean, simple and attractive interface. limited automated marketing emails with AI functionality to target products to customers based on purchase and browsing history on our bigcommerce sites. A great holistic approach to order and shipping processes along with marketing and customer management. All customer orders and shipments from all marketplaces in one location to manage customer service calls. "Extremely Valuable System for Shipping!! Truely EASY!" I always recommend Shipping Easy to other business owners because we have found it to be so valuable to us as we grow our organization. We used to enter all of the addresses manually into each shipping carrier's website, but once we changed to Shipping Easy, we are easily saving at least a full salary on payroll because Shipping Easy is that valuable. We also save in shipping costs because we can easily go in and comparison shop the different carriers when we ship an order and it's super quick and easy to do so. I can't even think of a thing! We have been so happy with the software, it's ridiculous. You will have no regrets if you go with ShippingEasy! Recently, we had an issue with our Amazon orders not populating correctly because Amazon had changed something in their system and Shipping Easy developers were right on the issue and while it was a difficult one in my estimation and was going to cause me hours and hours of labor to correct in Amazon, the Shipping Easy people fixed it within a week like magic! I was very impressed and thankful. I love the ease of use with shipping easy! I have used other online shipping platforms and ended up going back to shippingeasy just because I love the way it is set up. I can easily add a custom shipment even if there wasn't a product ordered from my store. It's simple to checkout and even easier to add money to my account. So far, there isn't anything that I dislike about shipping easy! I have an online storefront where I sell one pieces. I love that it syncs with my woocommerce account and I don't have to sync it manually. I also love that I can easily create a shipment even if I didn't have a sale. 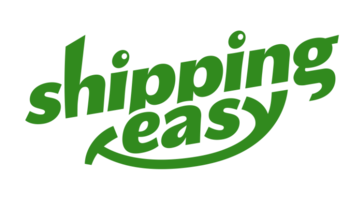 "I use ShippingEasy for my BigCommerce store"
Shipping Easy has a robust interface that rarely lets me down. It's just plain reliable. My store gets orders, the info goes into my SE page and I ship it. It's simple. Even when I change an order in SE, it reminds me that communication back to my store may be disrupted by what I did. Every now and then the ConnectEasy function for printing fails, but when I reboot my PC it comes right back. I suspect it is a local hardware issue. Can't really find much else to complain about. The team at Shipping easy is constantly improving the product and their communication and support with customers is outstanding. You would have a hard time getting me to switch to a different product! I've learned that shipping product is a cost that is huge part of my expenses and my time. A reliable app like SE makes it quicker and trouble free. Pricing is reasonable and is offset by postage savings. "Simplified Shipping, makes it easy for anyone to import and ship orders"
The best part is the automated importing and exporting while consolidating websites. We had multiple websites that required special software to import them into one single file, and when we exported them require special employee training in order to divide all the tracking numbers. Now it's all automated and we don't have to worry about mistakes in the import/export process. There is a small issue with importing where it doesn't include the shipping method for our stores, so it only imports the tracking number, date, and cost. Not a big deal since the tracking number itself has the shipping method. There is far less training required for employees. Before we had to train them to import, merge data, export, unmerge data, and 3 different shipping systems. Now they just learn the shipping easy website, and instead of having to call UPS.com or ask for help from us, they can click a chat support button and get help within minutes. The site itself is intuitive and simplistic where they can easily figure out how to do something with very little effort. One of the biggest issues we had was incorrect information being put into the shipment. Packages were misshipped quite often. Now we almost never mis-ship a package. From their Customer service walk-thru when initially enrolling in Oct 2014 to their willingness to make the Woo Commerce plugin work as needed when I switched to Wordpress in late 2015, I've been very impressed with Shipping Easy. I like their live chat feature with knowledgeable agents who can answer most issues via chat. But, higher level service is there with responsive action when needed. So, far, there is nothing about Shipping Easy that I've unhappy with. Shipping Easy more than pays for itself in the discounted USPS rates you receive when using the product. Integrates perfectly with both 3dCart, Woo Commerce and Amazon. This software makes my shipping "just work". Orders flow through from my shopping cart to SE, and are updated automatically with tracking info once the label is printed. I can't imagine shipping hundreds of packages a week without Shipping Easy! "Pull the trigger - make your life EASIER!" Intuitive app, integration to online e-commerce platforms, and access to commercial plus shipping rates! Could be a bit easier to grab a shipping quote without an order. Time and effort spent on preparing shipments, notifying customers of shipping activity, shipment costs, and tracking. "Easy to set up, but limiting in the shipping options." Easy to set-up and integration with ecommerce sources. Brings in paypal invoice details. Provides discounts on USPS. Decent interface. Ability to see define rules for picking lowest cost shipping options. Cannot define alternative shippers - we ship some orders same-day by van and can't track this or share information with shipper. We also fulfill some orders through 3rd parties and cannot route orders to them - no provision for this. Fedex does not update tracking status (more of an issue with fedex than this software). Try it out. If you do all your own shipping it may work for you..
Central point for fulfilling orders and communication order status to customers. Lower shipping costs - from preferential USPS shipping rates and easy comparison shopping on multiple carriers. Thank you for your review of our software and your candid insight on how our system matches the needs of your business. The ShippingEasy application is designed for eCommerce merchants of any size who wants to save time and money on shipping. We aim to simplify the shipping process with features to take the guess work out. For example, save your most used shipping options with Saved Selections or completely automate your process altogether with Shipping Rules (mapping). Plus, print your USPS, UPS and FedEx labels (and other carriers) in one place! Commercial Plus shipping discounts and access to our proprietary Flat Rate Green rates means you're receiving the steepest discounts available for USPS. Based on your feedback, it looks like your ideal application offers additional drop-shipping capabilities. Today, companies who utilize ShippingEasy for drop-shipping set up additional logins so their drop-shippers can ship from within ShippingEasy. They may use Shipping Rules to map specific orders/products to the drop-shipper users so those logins can only see the orders that they need to ship out. However, if you need to send orders to drop-shippers outside of ShippingEasy, unfortunately that feature is not available today. We've heard this request before and will continue to weigh it alongside other exciting feature requests in queue. ShippingEasy is built with the needs of eCommerce shippers in mind. We understand that each company has unique requirements and we're determined to continue to add useful features so all eCommerce merchants get everything they need out of ShippingEasy. Thank you again for sharing your feedback. "Great Solution for Shopify Storefront"
ShippingEasy is an easy and straightforward way to create shipping labels and packing slips. Its integration with my Shopify storefront is seamless and it is effortless to create the items I need to properly mail out an order. The website is easy to use and navigate and customer service is always just a chat away if I need help with any service issue; they are usually able to easily guide me in the right direction to help solve my problem. As of now, I haven't been able to customize packing slips to my liking. The default design is very basic and unappealing. I would like to better integrate product photos, my logo, and other design elements into the packing slips so they become a cohesive part of my Shopify store's branding. You can hover over your customer's selected shipping method while creating the label, but it would be easier to view that information directly. I currently use ShippingEasy on an order-by-order basis, I would suggest learning more about its scalability prior to investing in the software for a larger team. It leaves a bit to be desired in terms of customization, but is very easy and straightforward to use. I have been able to easily create shipping labels and packing slips for orders through my Shopify storefront while maintaining the integrity of the brand. I appreciate how easy it is to customize the shipping method, date, and other shipping options for each order. I also wanted to follow-up to clarify that ShippingEasy does offer customizable packing slip and email template tools. With those, you should be able to edit the packing slip to your liking including your logo, shipping method, product photos, and more! It sounds like you may not have been able to fully utilize those tools yet and we'd be happy to help. We have a few articles outlining the steps and options available to customize. Simply go to support.shippingeasy.com and search "Custom Packing Slip" to find them! If you'd prefer guided assistance, feel free to reach out to us via the contact options in the top left of the app. Unfortunately, as we cannot see your company name here, we are unable to contact you to help. If you don't mind sharing your business name publicly, please reply and I can make sure someone reaches out to you to ensure your packing slips are correctly set up. Thank you! We use ShippingEasy to ship Poketti Plushies with a Pocket and it is amazing! Our ShippingEasy account is integrated with our Shopify store and others so it's a completely seamless process to ship our products. The ShippingEasy customer service team helped us set up our most common packaging profiles, and now, when orders come in, within a few clicks, we're printing labels and detailed packing lists. After using a cut/paste method for a year, ShippingEasy has saved us time, allowing our business to grow without additional resources. We gave also saved on postage by switching to ShippingEasy. The support team is so patient and helpful. It's almost unheard of these days to find such an efficient solution with such great value and wonderfully responsive customer service. As our company grows, we have complete confidence we are ready! Honestly, there isn't much I don't like about ShippingEasy. At first, I resisted doing the training live with a customer service representative, figuring I could do it myself, but I'm glad took the call. While the system is easy enough, the ShippingEasy rep was able to show me a few tricks and additional features that helped me in the long run. So, do the training...it's worth it. We sell Poketti on many online sites, and I was looking to streamline integration with orders coming in from a myriad of places. ShippingEasy either integrates directly (Shopify, Etsy, Jane, etc.) or I can easily import a csv file of orders as needed. In addition to this time savings, I didn't realize I was paying more in postage that I needed to until I switched to ShippingEasy and discovered I could trim a considerable amount off each package. Not only is ShippingEasy a reliable solution that saves us time processing orders and saves us money on postage, the people behind the product are friendly and knowledgable. ShippingEasy is a perfect partner for any business. "ShippingEasy multi-channel order fulfillment software"
My favorite part is the company's use of "jack ship." Software is great for importing multi-channel orders into a single interface for streamlined order fulfillment. It's also very easy to generate return shipping labels. Customer service has not always been helpful. Can't think of any other cons. E-commerce tends to be a high volume, low margin industry so efficiency is paramount. ShippingEasy helps us be more efficient. "Help splitting items in a packing slip"
Called Shipping Easy for help splitting items in a packing slip. The rep signed into my screen and walked me through the process in 2 minutes. I couldn't believe how easy it was to reach a person and how helpful they where. nothing at the moment except for the requirement of having to have 40 character minimum in what I dislike. "Great Support at Shipping Easy"
When I call for help the team is very helpful. I must give accolades to James and to Bailey as they rocked today! I have not yet experienced any dislikes. Ease in shipping many orders at a time and having the system close them in the shopping carts. Very user friendly. "Always works. Support is always great." Ease of use and easy rate comparisons. Shipping with multiple carriers and from multiple selling platforms, not having to do double entry is great. There actually is nothing I have found about Shipping Easy that I dislike. For the price, you cannot beat the benefits. We're a small company with typically low daily volume, but at peak periods, their solution is a real time-saver. Shipping with orders coming from multiple selling platforms, using multiple carriers. I love that you can call customer service and a live person answers the phone. Most companies have the automated phone trunking system that can be a nightmare. I like that I can batch orders and print all labels at once. The ease of use and the discounted shipping rates. It ties right in to magento and it takes just a few clicks to print a shipping label. There isn't anything that I dislike about Shipping Easy. We are solving the majority of our shipping needs and having to manually enter the information into either USPS or FedEx. Integration with stores and shipping platforms. Unfortunately their chosen postage platform, Endicia.com, is Mac-unfriendly, which is challenging. If you have a Mac you're still mostly screwed. My shipping is easier and cheaper. Thanks for your review, Matt! We sincerely appreciate you taking the time to share your experience. After reading your comment around Endicia/Mac capability, I did want to clarify one thing. ShippingEasy supports both Macs and PCs; and in most cases, Endicia does as well. Unfortunately, this doesn't work when purchasing letter stamps. Today, letter stamps cannot be purchased on ShippingEasy. So, we typically recommend that our customers purchase and print the stamps with Endicia. There is no extra cost to do this, although the Endicia program cannot be accessed on or downloaded to a Mac. In this instance, the best option may be to purchase postage stamps from your local post office and generate the rest of your shipping labels with ShippingEasy. * We monitor all ShippingEasy reviews to prevent fraudulent reviews and keep review quality high. We do not post reviews by company employees or direct competitors. Validated reviews require the user to submit a screenshot of the product containing their user ID, in order to verify a user is an actual user of the product. Hi there! Are you looking to implement a solution like ShippingEasy?